The Mia Khalifa is best known for her successful career as an adult actress. She began acting in adult films in October 2014, and by December, she was ranked as number 1 actress on the website, PornHub. Mia Khalifa has recently shared a picture from the flight washroom and it really looks decent. Adult Star Mia Khalifa Gets Trolled For Sharing Selfie on Bathroom. 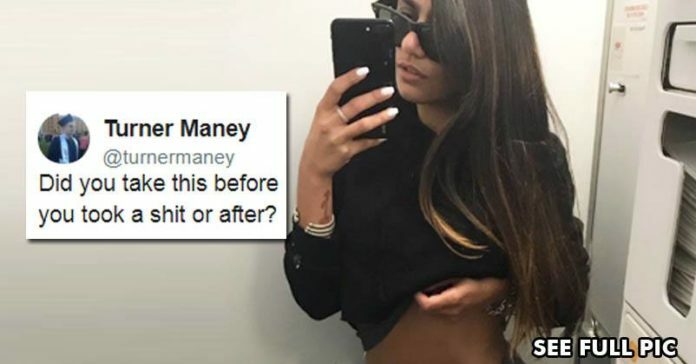 But as soon as she uploaded the image, people went crazy and came up with funniest comments.